I2S (not to be confused with I2C) is a digital sound protocol that is used on circuit boards to pass audio data around. Many high end chips and processors manage all of the audio in digital I2S format. Then, to input or output data, three or four pins are used (data in, data out, bit clock and left-right channel select). Usually, for audio devices, there's a DAC chip that will take I2S in and convert it to analog that can drive a headphone. 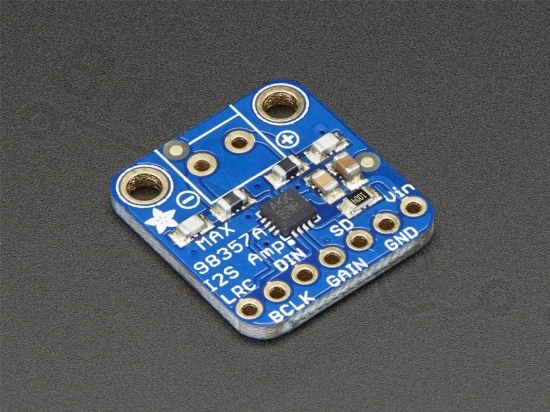 The audio input is I2S standard, you can use 3,3V or 5V logic data. The outputs are "Bridge Tied" - that means they connect directly to the outputs, no connection to ground. 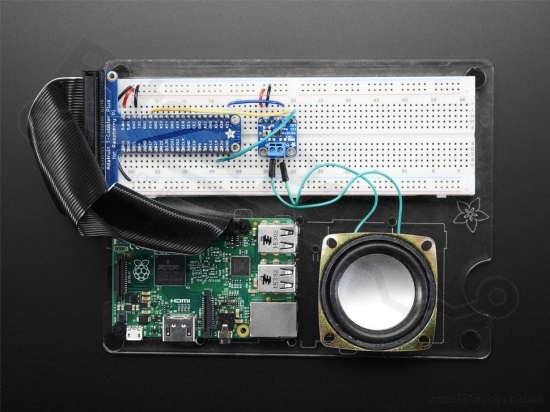 The output is a ~300KHz square wave PWM that is then 'averaged out' by the speaker coil - the high frequencies are not heard. All the above means that you can't connect the output into another amplifier, it should drive the speakers directly. The ShutDown/Mode pin can be used to put the chip in shutdown or set up which I2S audio channel is piped to the speaker. By default, the amp will output (L+R)/2 stereo mix into mono out. By adding a resistor, you can change it to be just left or just right output. 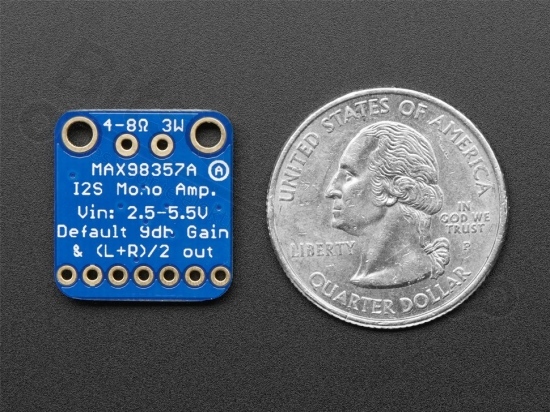 Works great with Raspberry Pi, Arduino Zero, and any other microcontroller or microcomputer with I2S audio outputs. 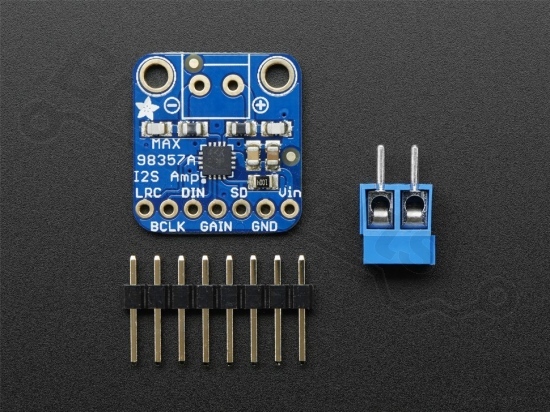 Comes as an assembled and tested breakout board, with a small piece of optional header and 3.5mm terminal block.